The jumper harness (Mopar part number 82210549AB) lets you install the oval Hella fog lamps on Mopar bumpers, such as the Off-Road or Tubular bumpers, instead of the original bumper equipped with fog lamps. 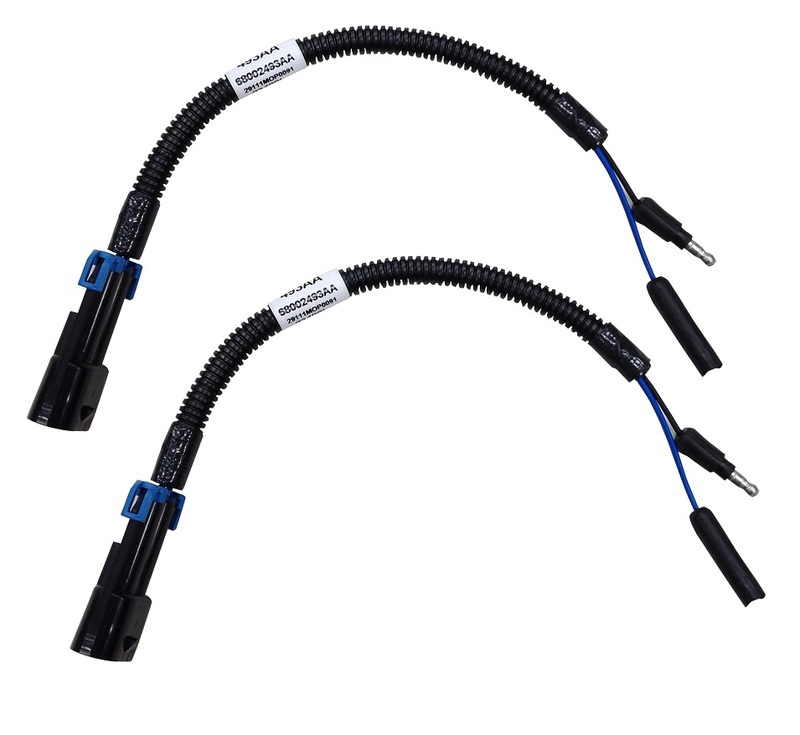 The jumper harness provides 18 inches of wiring and connects the stock wiring to the Hella fog lamps. With this simple part, you don't have to choose between the visibility and safety of the Hella fog lamps and the good looks of the Off-Road or Tubular bumpers. You can have both.